Viacom and CBS have pulled videos from Google’s YouTube. The Academy of Motion Picture Arts and Sciences recently requested that some Oscar footage be taken down from YouTube as well. And Google’s efforts to sell radio and print advertising have not met expectations. In short, Google’s ability to navigate the traditional media landscape doesn’t seem to be going particularly well. What’s the problem? The simple answer: The traditional media environment is complicated. While Google has the resources to create significant deals with content companies, it still must contend with a number of confounding crosscurrents — content owners’ concerns over intellectual property and a clash of advertising models, among others. Signing a deal with a television network like CBS is just the first step; figuring out all the back-end issues to make the partnership work is a whole other issue. “It’s difficult for Google,” says Wharton marketing professor Patricia Williams. Traditional media companies “have models that have evolved to be inefficient.” For example, a single snippet of video content — such as a commercial — most likely has multiple parties looking for compensation. An actor in a television commercial may get paid every time it runs, and the ad agency could also be remunerated based on the number of times the commercial is aired. What happens if that same commercial is uploaded and played on YouTube? Williams says the challenge for Google is finding a way to compensate all the various players in the traditional media food chain. Compounding the issues for Google may be media companies’ fears about its intentions. Google’s stated goal — to organize all the information in the world — worries those who see Google as more of a threat than an ally. For instance, companies like Viacom could find that their options for monetizing their videocontent are limited if consumers view it on YouTube. “For content providers, intellectual property drives revenue, and content drives viewers and ads. If content is snatched, revenue is lost,” says Williams. Meanwhile, copyright skirmishes with the book publishing industry haven’t helped Google’s cause, either. Ultimately, Google and traditional media companies will join forces because they need each other, say experts at Wharton. 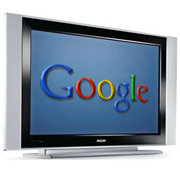 After all, Google requires strong content to drive video traffic and create a business model for YouTube. But there are many issues yet to be resolved. According to Eric Clemons, Wharton professor of operations and information management, one reason these partnerships between Google and traditional media companies have been slow to develop is that Google hasn’t found a way to make YouTube profitable. If YouTube can’t make money, how will revenue be shared with media companies? “It is not at all clear to me that anyone can monetize the web traffic on YouTube,” says Clemons. One big issue hindering Google’s ability to partner effectively with media companies is the debate over who has more power over content: the creator or the distributor. Kartik Hosanagar, professor of operations and information management at Wharton, says it’s likely that traditional media companies are concerned that Google will get the lion’s share of the value from any partnership. That seems to be one reason why Viacom pulled its videos from YouTube and signed a partnership with an unproven rival Internet video service called Joost. Viacom said it teamed with Joost because it “is powered by a secure, efficient, piracy-proof Internet platform” that guarantees copyright protection. But it may go deeper than that, according to experts at Wharton. “If Google is the one controlling all the matching of ads and consumers, [traditional media companies will be] really worried about Google’s market power,” says Hosanagar. “That worry is reflected in Viacom’s deal with Joost.” Financial terms of the Joost deal with Viacom were not disclosed. The Wall Street Journal reported on February 21 that talks regarding a sweeping partnership to distribute CBS clips on YouTube also unraveled. According to the story, CBS and Google couldn’t agree on the length of the deal, and some CBS division heads were reluctant to sign off because of copyright concerns. Fader notes that Google doesn’t seem to have a game plan to bring traditional media players on board to YouTube. “There’s a degree of indecision with no clear strategy for how to use YouTube or deal with content owners,” he says. Fader also argues that deals with content providers should span many Google businesses beyond just YouTube. A clash of advertising models may be another reason YouTube has stumbled with traditional media. To Google, advertising is about algorithms and return on investment calculations. The traditional media industry relies on relationships. If Google controls access to the content, it could wind up owning the relationship with advertisers. Fader agrees: “I think Google could step in and create many efficiencies,” he says. “Here’s an example of where the models hit real problems: The agencies are going to get squeezed out. That will work in Google’s favor, but it will be tough initially [on ad agencies].” Fader expects Google and media companies to figure out a workable structure, but it will take time. Despite Google’s problems befriending traditional media, progress is being made. On March 2, the British Broadcasting Corp. (BBC) announced a broad deal with YouTube. Under the arrangement, the BBC will have its own channels on YouTube for BBC video clips. The deal encompasses BBC and BBC Worldwide. It also restricts how the clips are viewed in the United Kingdom. One of the hurdles facing Google is forging different partnerships for each individual content owner, say experts at Wharton, and the BBC deal may provide a blueprint for future traditional media partnerships.